This topic contains 27 replies, has 5 voices, and was last updated by Billy 1 month, 4 weeks ago. 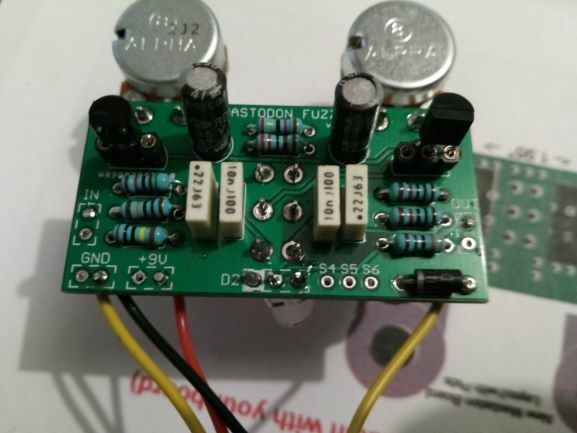 I have received the 2 printed circuits that are presented in the document diagram plus another (identical to the first circuit board, the one where the resistances / capacitors are welded), what should I do? 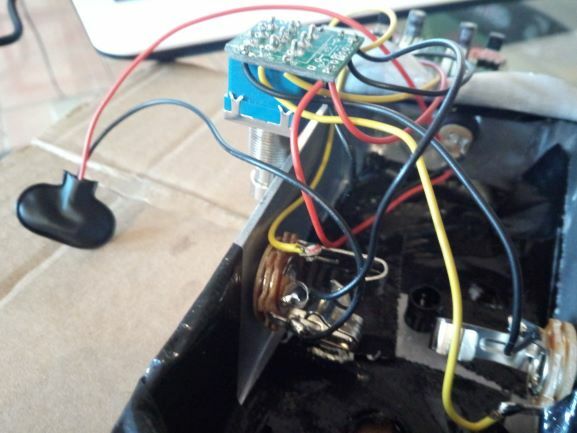 One last question: is it better to connect the potentiometers to the circuit board with the wires or can I directly connect them by the lugs in the printed circuit board? That is a lot of questions and I am happy to help. 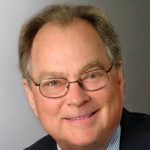 My 1st best advice for you would be to spend some time reviewing our GUIDES PAGE as all this info and so much more is covered there in “laymans terms” with illustrated guides, photos and more. I would say there are a several days of material to study and learn from and is a great resource to refer back to. Sockets are for socketing transistors. This way you do not overheat them and can easily exchange. Polarity is marked on the schematic and is only an issue when using electrolytic caps. Those are also marked with polarity on the board silkscreen. Film Caps, MLCC and others are non-polar. The LED is a ON/OFF status LED. 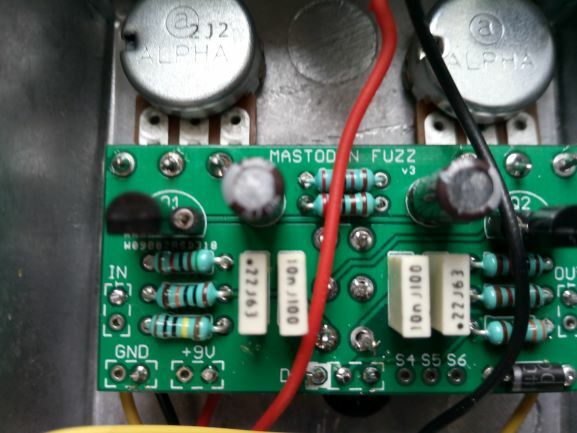 It can be wired from the Main Board or a 3PDT wiring Board. Different strokes for different folks there. The Bezel is what holds the LED in the enclosure hole. 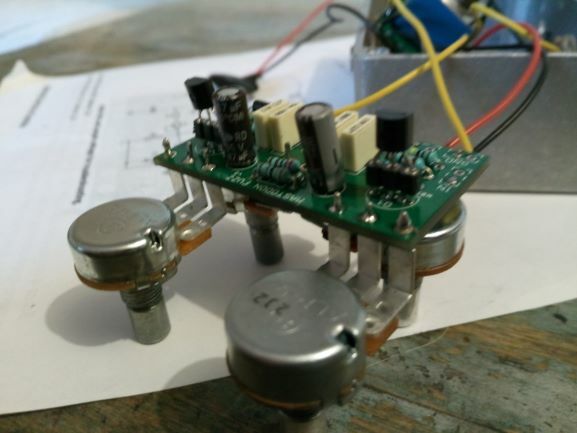 Potentiometers: If they fit mount them without wires. 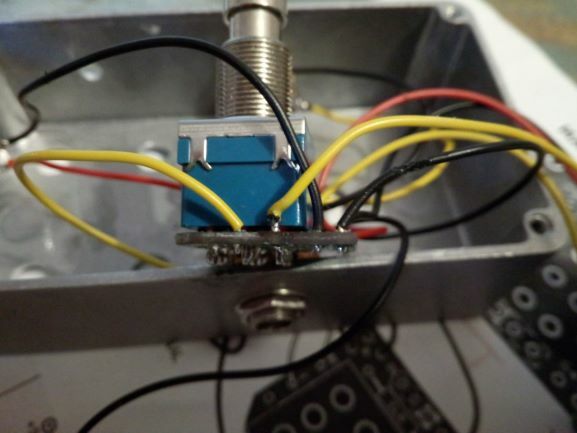 That said your enclosure need to be precisely drilled and always mount potentiometers in the enclosure before soldering to the board (much easier) and no stress on solder joints doing it backwards and trying to make the potentiometers fit in the enclosure holes after they are soldered to the board. I hope that helps and again please visit the GUIDES PAGE because this is all laid out beautifully and will likely even answer questions you did not even know you had yet. It starts with many PDF downloadable guides and continues with more photos and diagrams. 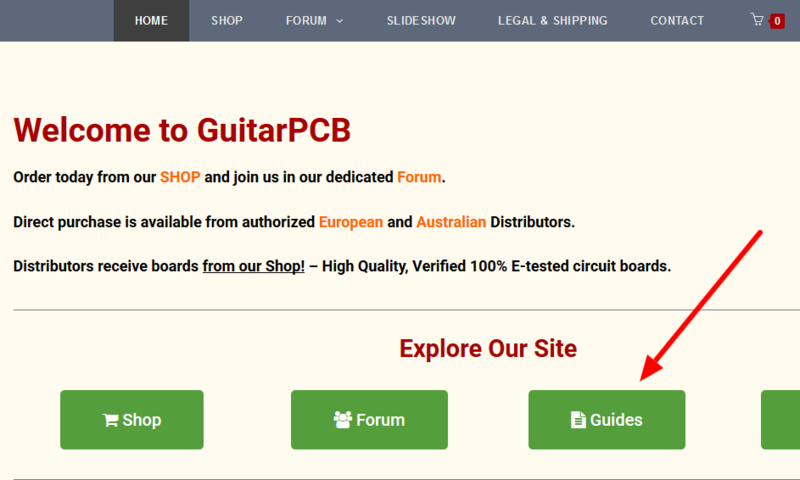 Finally you can also learn something by looking at others completed builds in the Show off your build section of the Forum and also checkout the SLIDESHOW in the Main Menu Bar at the top of every page. The GUIDES PAGE is of top importance however. Once you have taken the time to study the GUIDES and become familiar with the process then all other builds follow similar guidelines so it is very important to read all the materials we make available for a successful build. Turn the heat down to avoid burning pads, parts and transistors. 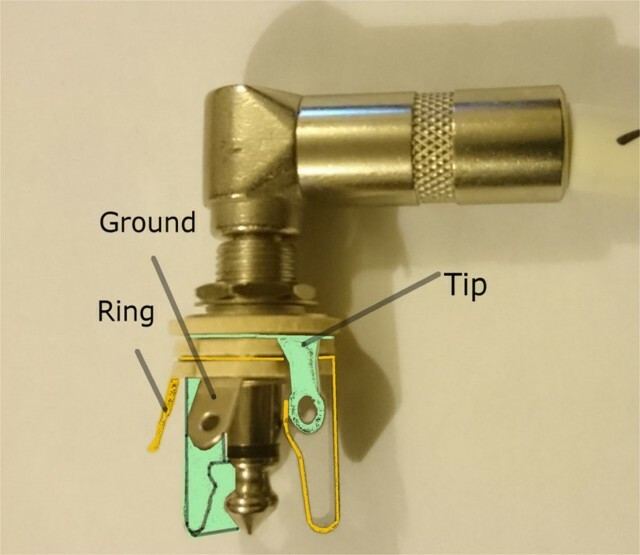 Use a fine conical tip per my solder tutorial. The extra LED is there as a bonus if you do not want to use a Bicolor. The 1N4001 Diode is in backwards. The project will not work if backwards. 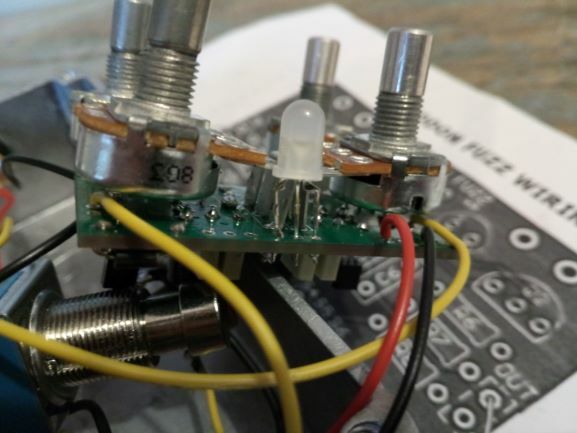 To avoid burning pads you can tack solder a small jumper connecting both sides of the diode to see if the project works. 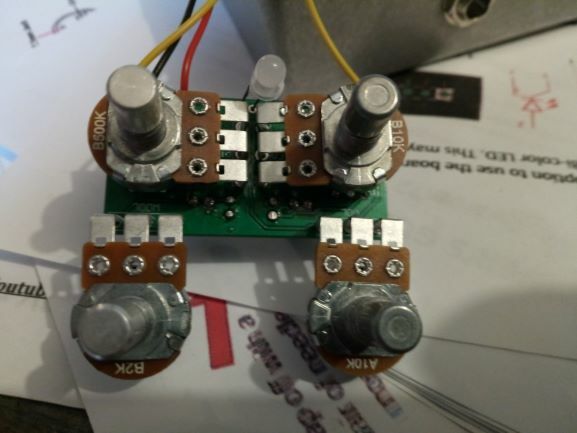 The potentiometers are supposed to be on the reverse side of the board so that they can be tightly grouped and will fit inside a small pedal enclosure and line up with the drill pattern as seen in the build document. For now I would leave them alone since they should still work if the Pads are still good. 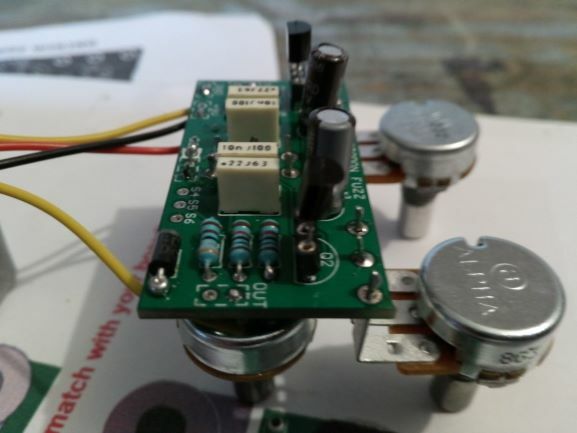 Here is a solder video tutorial also from the guides page. The Build Document lists the approximate voltages you should measure with the transistors in place. Your voltages are either measured incorrectly or they are wrong. I see from your recent photo that Q2 is installed backwards. 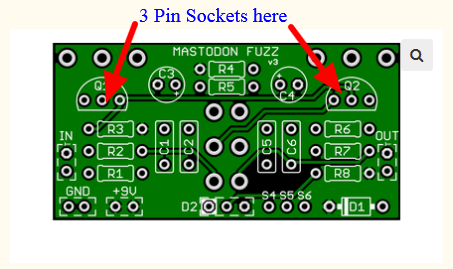 The transistors need to be installed in the same profile as shown on the board’s silkscreen. This may be one reason the measurements are incorrect. I believe you misunderstood the purpose of the sockets. 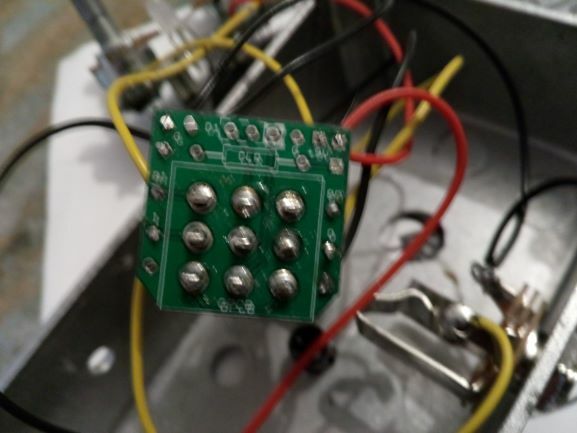 First, you soldered the transistors to the board without using the sockets. Then, you removed the transistors by heating them again. Then, you installed the sockets and SOLDERED the transistors into the sockets. 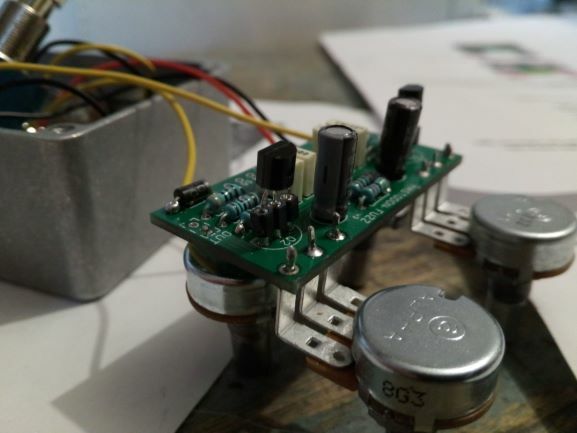 The purpose of the sockets is to eliminate the need to solder the transistors in place. This serves two purposes. First, it prevents overheating the transistors. Second, it permits you to remove and replace transistors if needed. Since you have applied heat to the transistors several times, it is very possible that you have destroyed them. We will not know for sure until you have again removed them and reinstalled them in the correct orientation. Since you have soldered them into the sockets, this will require additional heating of the transistors. Not good. At this point, I think you have two options. Attempt to correct these errors and rebuild the board. This should include re-flowing all solder joints with a minimum of heat to correct any bad joints. Then remeasure and report new voltage readings including the voltage of the battery. 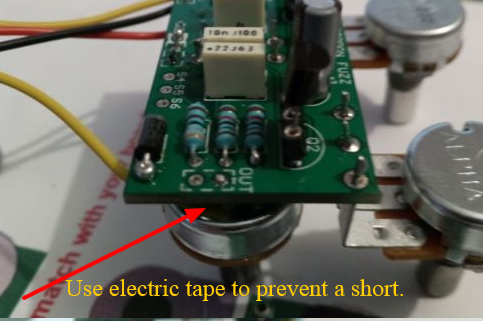 This may produce a working circuit or confirm that the transistors are destroyed. 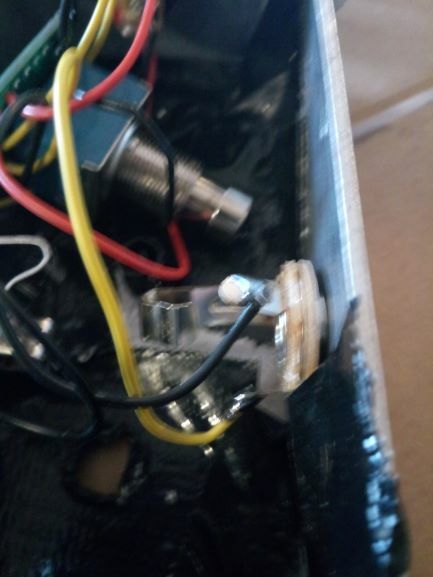 Unfortunately, the photos you provided do not show all components clearly so that we can help you verify their proper position. Your second option is to abandon this project, order a new kit and carefully study the excellent build guides found on this site. You can consider this to be a helpful learning experience. If you do this, I’ll wager that we can help you succeed on your next attempt! This is going to be quick because I am currently dealing with a weather related crisis. This is my advice which is meant to be helpful and since you are a beginner I am going to list these in order. Read the other guides thoroughly. All of them. This should take a week at least. Print all of the items you need to remember while reading. There are (6) PDF Guides to download. This is how we all learned. If you do not mount the pots with correct orientation they will work backwards. 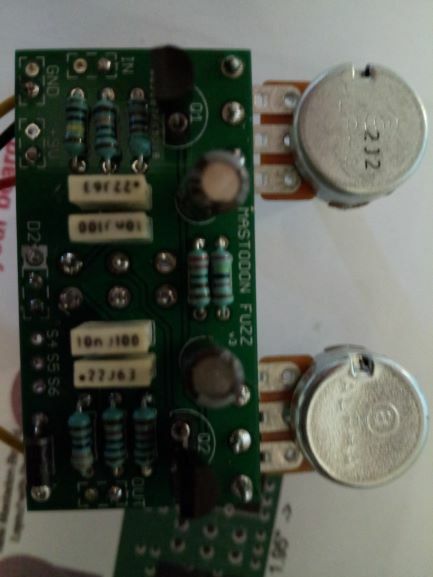 The transistors are ruined. You need new ones. The GUIDES Section has a CONTINUITY CHART for things that are supposed to beep. Study other peoples builds in the SHOW OFF YOUR PEDAL section and the SLIDESHOW. 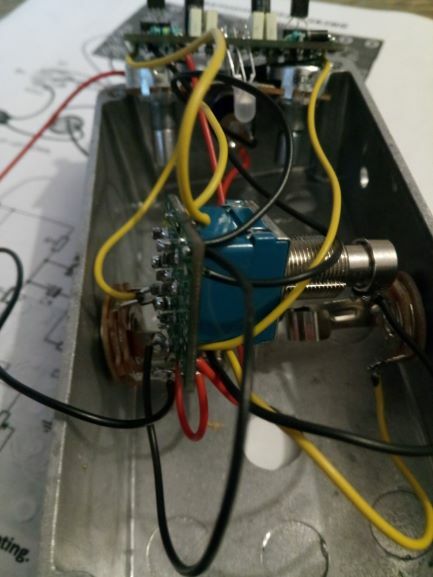 That is my best advice and should be what everyone does before building a pedal. That said after spending a weeks studying everything then I would carefully layout the new board and look it over before soldering anything else. The GUIDES are your best source for an easy build. The good news is you already learned some valuable lessons moving forward. This shows proper orientation of the potis. You must insert the potis with this orientation on the backside of the board where the silkscreen is located for it or it will work backwards. 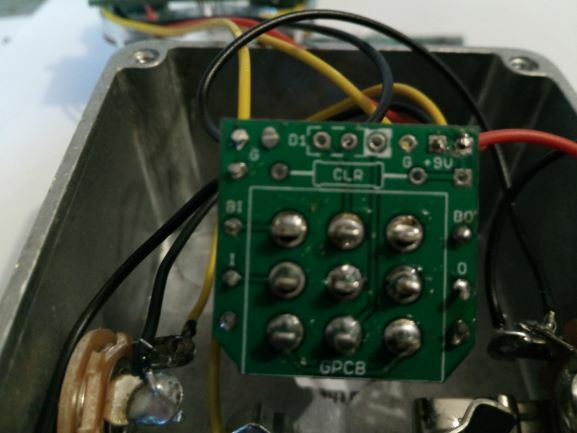 Do not solder potis till you place it in the enclosure holes so you have a perfect fit. Then solder. Here are some LINKS you must read first from the GUIDES PAGE: Click on them. The Beginners Build Guide courtesy of Trom1. The Crash Course Guide courtesy of several members. The Combo Build Guide courtesy of Playsforfun. I will not be available for a while because i have some crisis here to contend with so i really hope that helps. It is all really good advice. 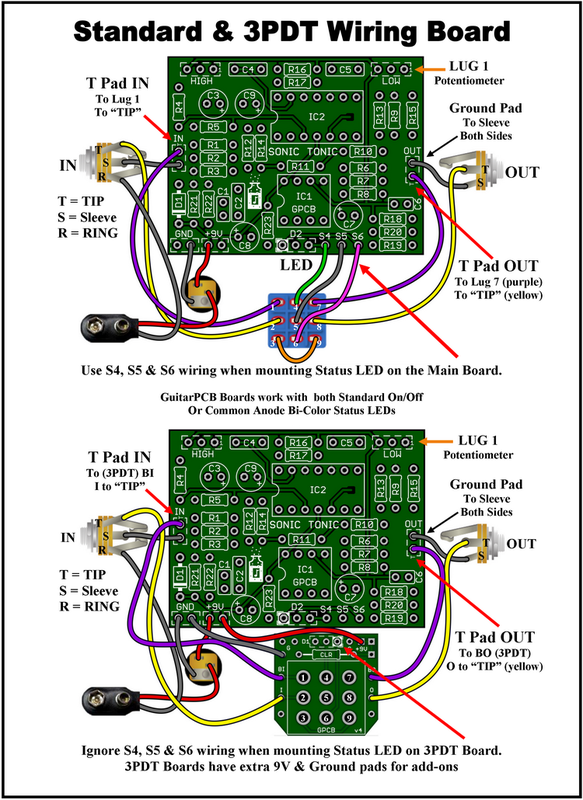 I ordered my brand new PCB that I mounted from A to Z, being careful to follow the PDF and watching the tutorials and there is still nothing that works, I will tear my hair! 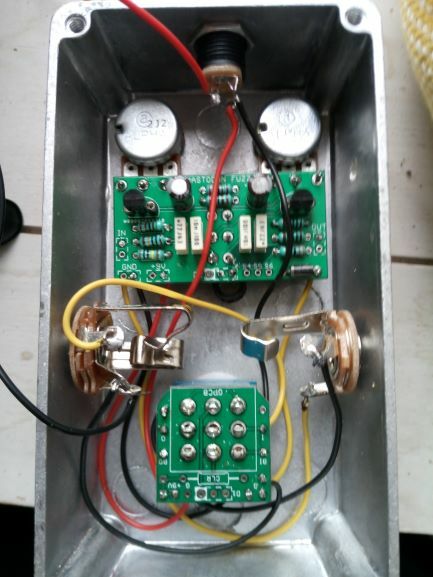 I have a resistance R4 which should be 22k while I measure it at 24k (on circuit). 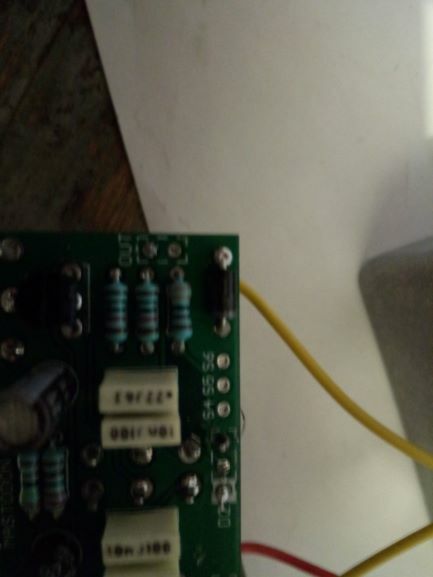 My two resistors R6 and R7 should be at 10k are 6.66k (circuit). 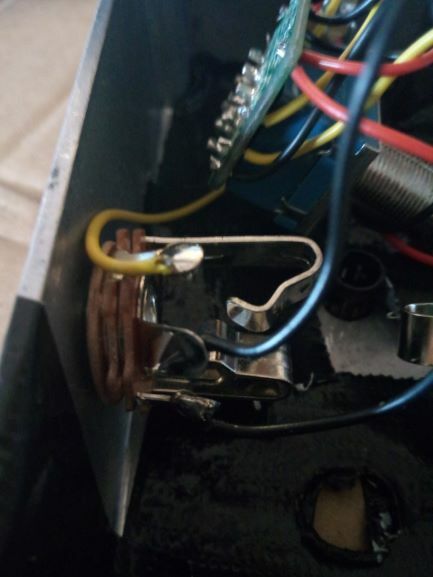 The transistors Q1 and Q2 that I put in their socket, I shortened them a little, can that have an impact? My capacitors C3 and C4 are they in the right direction (there was a small + on the PCB and a big – on each condo, so I put them on the opposite). 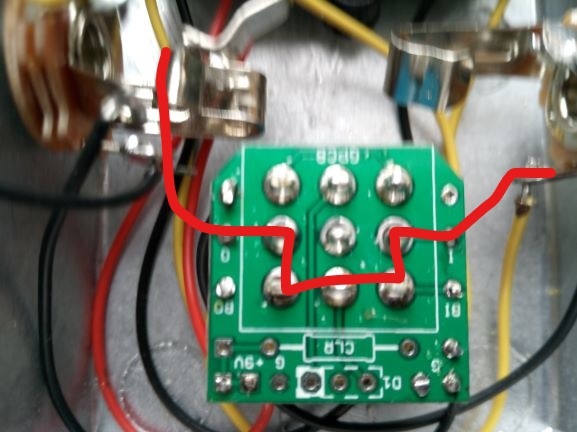 This time, I placed the LED in D2 on the PCB instead of putting it in D1 on the 3PDT, it still does not work, is there any connection to be made between the two or between S4, S5 and S6? Can you check on these photos that I have not mounted anything upside down please? Apparently my link to the photos will not work, so I put them in this message. I am leaving today but I will answer questions and share a things I see. You cannot measure resistors (in circuit) because they are affected by the rest of the circuit. The transistors look okay but giving us proper voltage readings will help verify. I cannot visually conform all of your wiring. It is very hard on a computer screen. 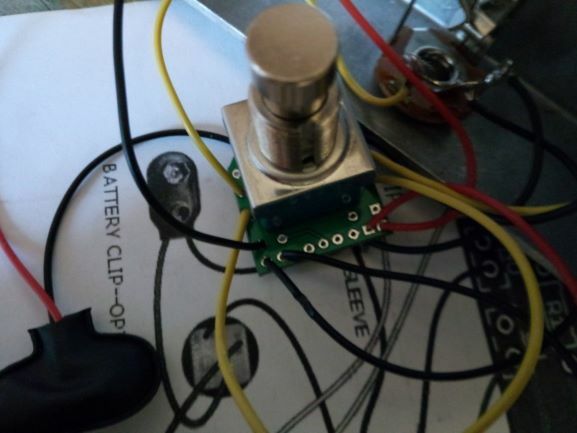 Tell us if the circuit works in bypass mode? If it works in bypass that is good! The Poteniometers are now mounted correctly. 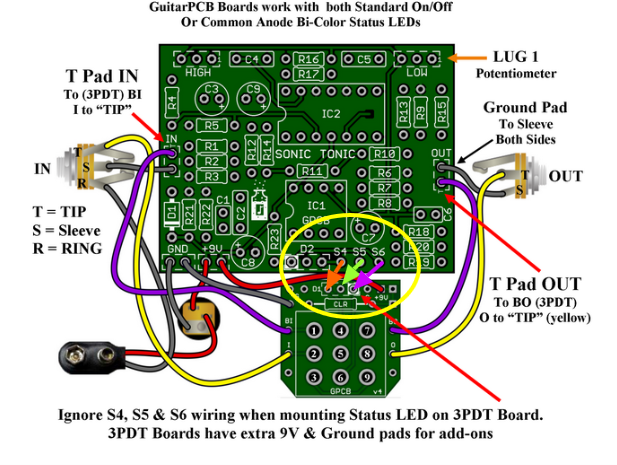 The important thing I see there is you need something non-conductive between the back of the potis and the solder side of the board or the circuit can short out. We use Pot Condoms from the SHOP but anything non-conductive will work placed in between. Some people use little felt circles or cover the potis backside with electric tape. 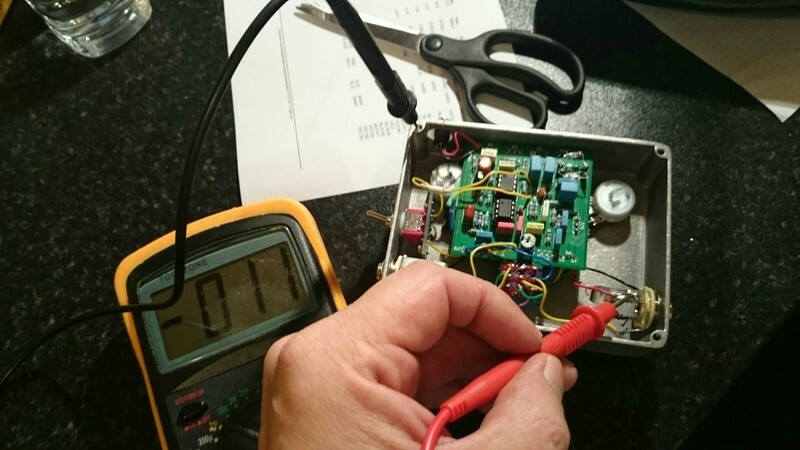 Test continuity using your DMM Digital Multi Meter in continuity mode (Google if needed). You should here a beep at every junction. This image can be found in the Crash Course from the Guides Page. 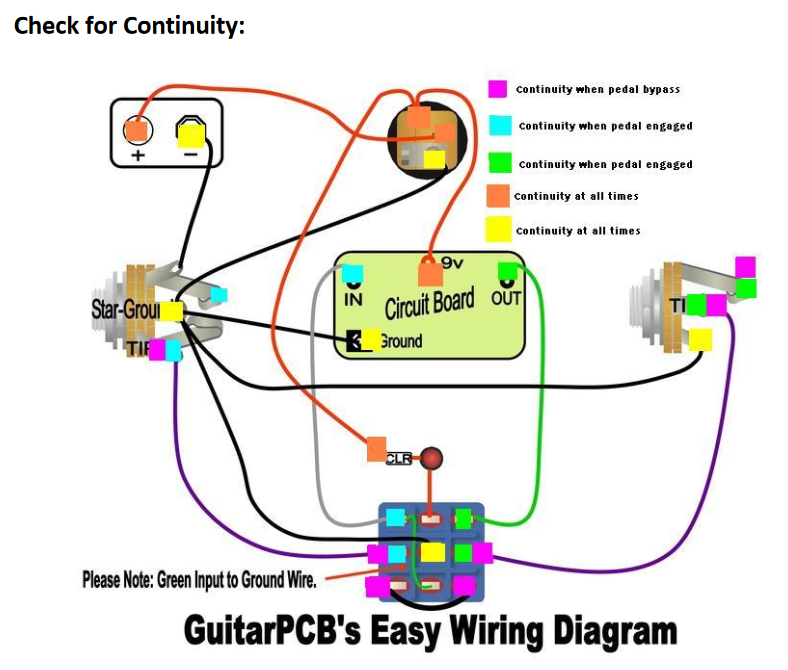 Note this diagram is not 100% the same as yours since it shows star grounding method however it does help you to see very important connections to test for continuity. In regards to hair pulling: Please remember this Hobby is difficult and requires a lot of study if you compare to other hobbies like model building etc.. so because of that it is more rewarding when you figure it all out. I have friends who tried this and decided they did not like it because it was very hard to do. A person must have aptitude, study time and patience for both electronics and troubleshooting equally in this hobby. Also we help as best we can over a computer which is very to do hard as well. We do try. Also I deleted some of the old posts so if other people are looking they will not get confused with old pictures. I suggest reading the Crash Course again. Several of your questions are answered in that guide. The good news is once you learn everything which takes many of us lots of time and practice all builds are pretty much the same and it gets easier. You have already learned several important things. so thank you for your answers! Bo is well connected to the out and Bi to the in! I do not have a signal in bypass mode, but I have not yet applied all the methods mentioned by Barry. I tell you more tomorrow! 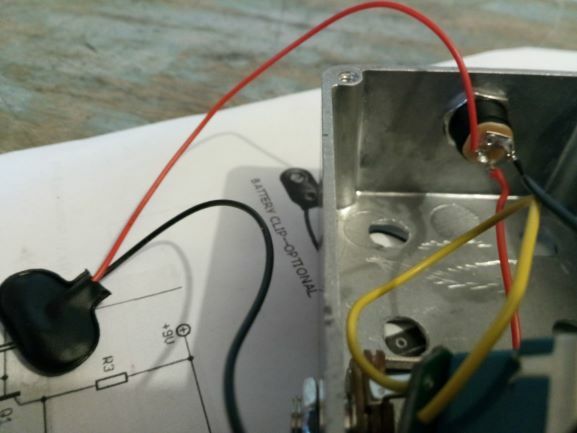 Bypass Mode connects the In jack directly to the Out jack through the 3PDT Foot Switch bypassing the circuit and should work even if the Main circuit is not working. That also means that since there is an issue with Bypass Mode this could be the entire problem. Recheck all wiring and solder joints between In Jack, 3PDT and Out Jack since that is what Bypass Mode is. 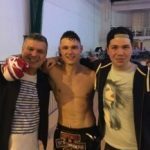 Hi and thank you for your help! Already I isolated all the parts that could make contact between them and the case with tape isolated. Then, I checked all the points of continuity with the diagram of Barry, everything is good except the connection between the RING of the jack IN (mass of the pile) and all the GROUND. I wonder if I have not reversed something in my RING / TIP connection on the IN jack. I put a picture and you will tell me what you think. So I continued my tests with the power supply sector 9V instead of the battery to have adequate contacts. Then I checked that Bi goes to In PCB and Bo goes out of the PCB, it is the case and there is good contact but what do you call the “little T”? 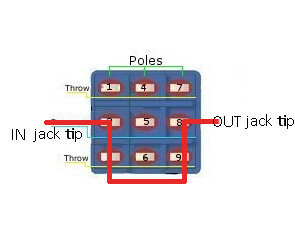 I checked that the TIPs of the IN and OUT jacks make good contact, that the SLEEVE also. Its good. There is also contact between I and O on the 3PDT. Then I checked the switch, I have good contact on 1/2, 4/5 and 7/8 in effect mode and 2/3, 5/6 and 8/9 bypass. So I think there is a problem because it does not correspond to the values ​​shown on the diagram. As I had two new transistors, I tried to redo the tests but the values ​​are the same. I redid the welds at the jacks, I put pictures for you to see if it looks good. Finally, I connected S4, S5 and S6 to D1 on the 3PDT and finally I have the LED that works! The small ‘T’ stands for tip (see this <span style=”color: #ff6600;”>GUIDE</span>) from the Guides Page. 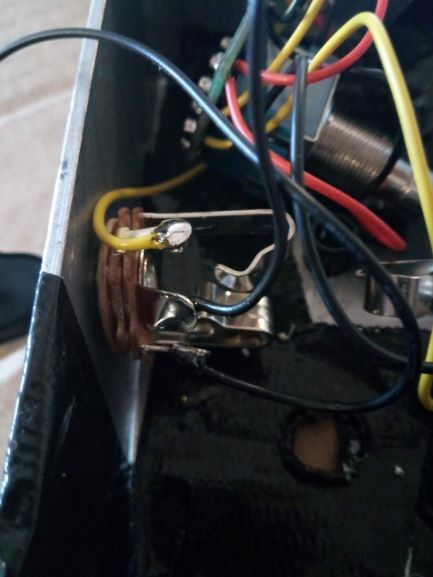 I checked, the 3PDT IN and OUT wires are well connected to the TIP so it’s good. I inserted a jack on each side and I have a contact between the TIP of my catches and the tips of the jack cables. I will insist and start testing again tonight or tomorrow, the bypass should at least work since no component is solicity! 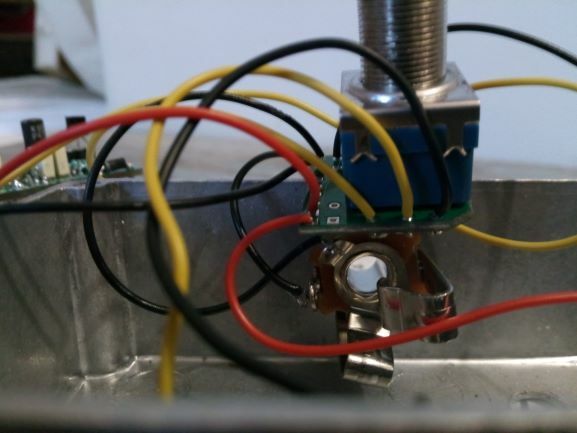 I have a contact with the tip of the socket and the solder (but this is the other tip in the photo where you have drawn a red line: the one you have designated in the picture makes contact with RING and therefore with the mass of the pile). I have good contact all the way you have drawn between JACK IN – 3PDT – JACK OUT. I have good contact between the bare case and my masses of jack (sleeve).